Bifold leather wallet with RFID blocking lining. 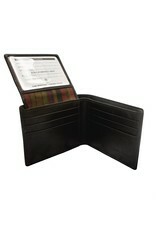 Flip ID holder with three credit card slots. 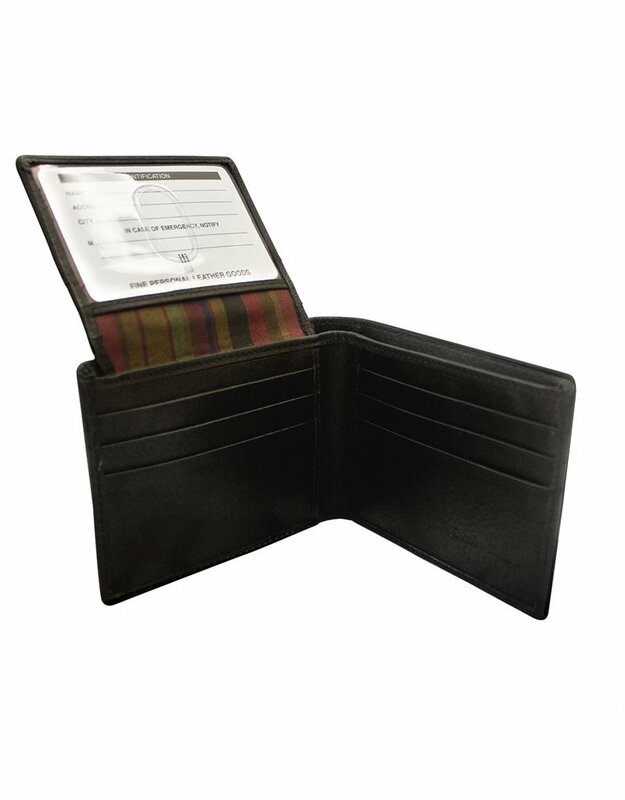 Six additional credit card slots, double currency compartment, and two slide pockets. 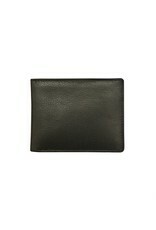 Dimensions: 3.25 x 4.5 x .75 in.